Most of us, while trying to lose weight and stay fit, end up eliminating fats from our diet. While we do this thinking that fats are what make us ‘fat,’ it is not always true. Our body does need fat. To put it simply, there are both good fats and bad fats, and we do need the good ones. 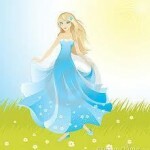 Non vegetarians can easily get their required dose of fats from their regular diet. 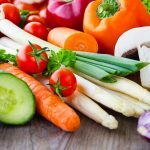 If you are a born vegetarian or have turned vegetarian, you may feel that you are not getting the required amount of fat required, as you do not have meat or fish. This, however, is not true. Vegetarians usually include a lot of butter, cream, cheese and other fatty substances in their diet to get the required amount of fat. On the other hand, those who are health conscious end up avoiding these altogether. Neither of the two options is good for your health. The fats that you acquire in your diet may come from ghee, butter or cheese, but it falls into the group of trans-saturated fat or unhealthy fat. These fats add to your body weight and increase your cholesterol level. Why Are Fats Essential For Our Body? It is a myth that fats only pile up to give you a plump look. This happens only in cases when you have consumed more fat than needed. Just the way that proteins, minerals, calcium and vitamins are essential for your body, so are fats. Fats are an excellent source of energy, even more than carbohydrates and proteins. 1 gram of fat gives you 9 calories of energy. Fats store energy in your body. During fasting or strenuous workout sessions, fats burn into energy to give you strength. Some vitamins like vitamin A, D, E & K are fat soluble. Fat makes it easy for these vitamins to be absorbed by the intestine. Fats also help in building healthy body cells. They act as a protective sheath to each and every cell. Not only body, fats also help in the proper development of brain cells. Fat adds a shine and glow to your skin making it look healthy. It also gives you healthy hair. Fats protect some very vital organs of your body like heart, kidneys and intestines. They form a layer around these organs and act as a cushion supporting them from any sort of injury. Unsaturated fatty acids – This isdivided into monounsaturated fatty acids (MUFAs) and polyunsaturated fatty acids (PUFAs). 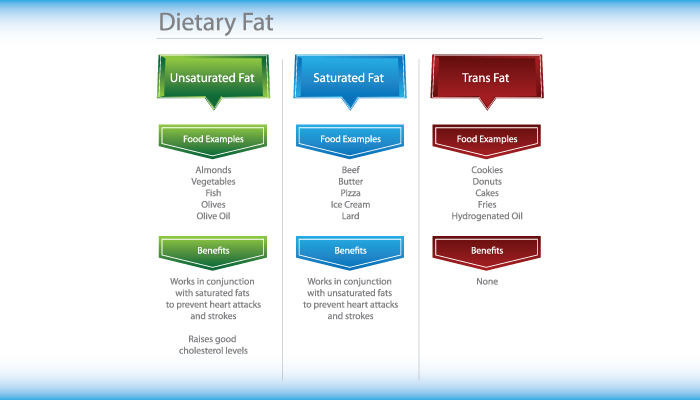 Both saturated fats and trans-saturated fats are unhealthy fats which are mainly harmful for your body. Other than adding weight, they also increase cholesterol level, which may result in many heart diseases and stroke. Butter, hard cheese, cream, cookies, cakes, coconut milk, fried foods are sources of saturated fat. Mono-unsaturated and Poly-unsaturated fats are good for your health. They lower your blood cholesterol level and also prevent blood clotting. Poly-unsaturated fatty acids can again be classified into omega-3 and omega-6 fatty acids. Both these fatty acids should be essentially available in your regular diet for maintaining a proper health. Almonds, walnuts and cashew nuts are a very rich source of omega 3 fatty acids that are found in fish and are actually good for your health. They add to the good cholesterol level. Each time you feel hungry between meals, try and have a fistful of nuts instead of biscuits, cakes, pastries or cereal bars. Nuts will keep you full for a longer time as well as also add to your health. 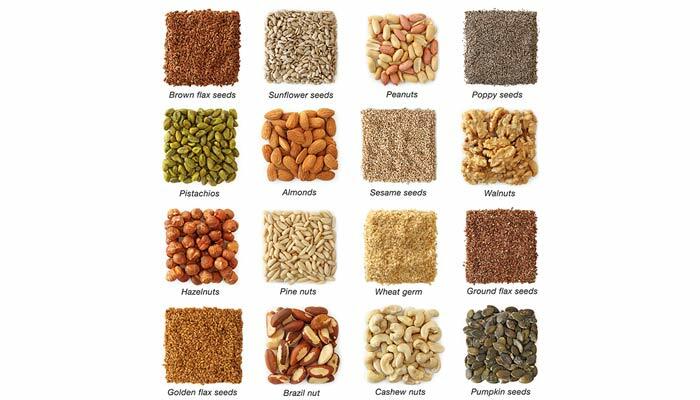 Flax seeds are a rich source of omega 3 fats. You can have these seeds whole or ground them to fine powder and store in air-tight container. Sprinkle on top of your favourite smoothies or mix with milk. This is the healthiest and the best source of fat. 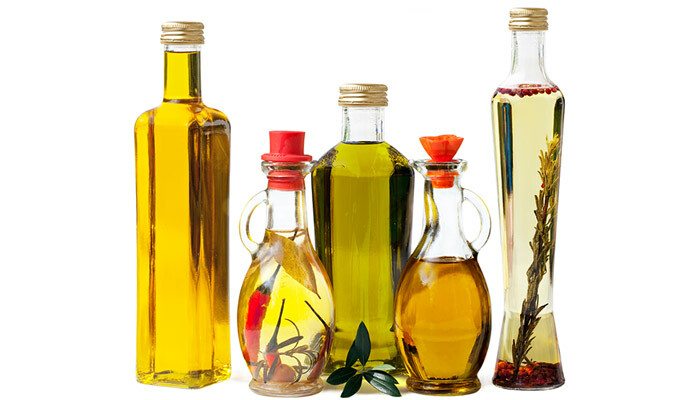 Vegetable oil, olive oil, sunflower oil or canola oil are very rich and healthy source of fat in food. Use these oils whenever cooking, though in a limited amount. You may also use a small spoonful or two in your salad dressing. If you love having ghee, try having homemade ghee. They are much healthier than those bought from the market. Soya beans are a rich source of omega-6 fatty acids. Mayonnaise is also a very good source of unsaturated fat. Always check the label before buying. Spreading cheese or butter on your sandwiches can be replaced by mayonnaise. Tofu is cottage cheese or paneer that is made from soy milk. It tastes almost the same as paneer that is made from milk. It is one of the best sources of fat especially polyunsaturated fats. This is another good source of polyunsaturated fat. Corn is also a good source of unsaturated fat. Avocados and olives contain a good amount of mono-unsaturated fats. Have half an avocado per day. They are good for your heart and also improve your memory. 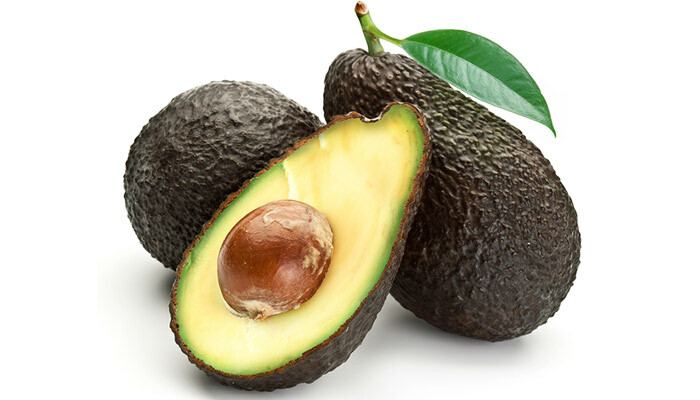 The green soft flesh of avocado is rich in unsaturated fat. Mash avocadoes as sandwich dressing, in salads or even consumed raw with a pinch of salt and pepper are a healthy and yummy treat. Olives are also heart-friendly fruits with monounsaturated fat. They help in lowering your cholesterol level. 100 grams of olives contain just 15 grams fat. Include olives in your salad or have it in your pasta toppings. Vegetables are generally fat-free. But cooking and frying makes vegetables rich in fats, which are unhealthy. 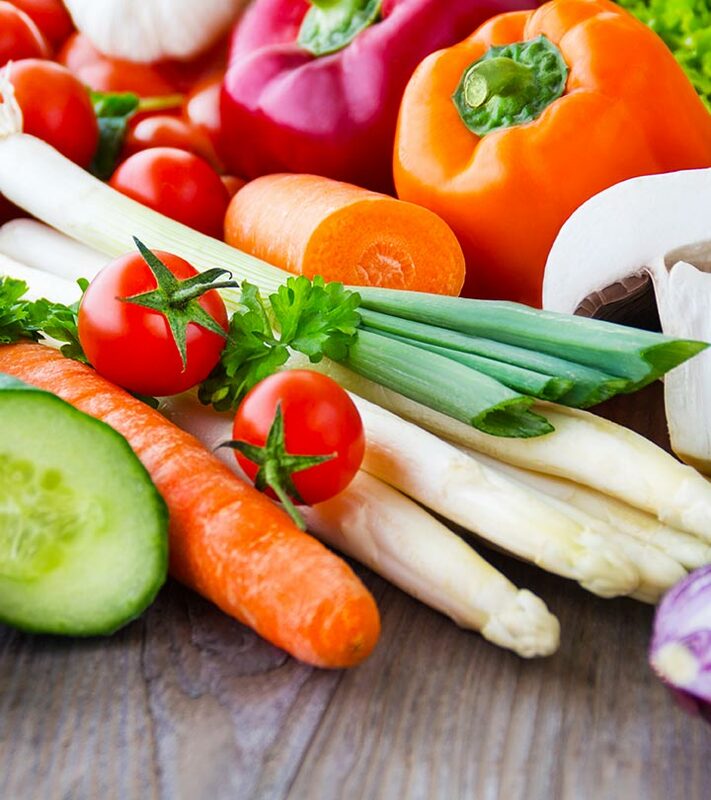 Prepare veggies by baking, brushing just a little olive oil, or you may also stir-fry veggies. Even though you may be cautious about what kind of fat you are consuming, you cannot have unlimited amount of fat; be it in any form. Fats should always be consumed in limits. 1 gram of fat imparts 9 grams of calories. Have around 40-70 grams of fat per day and not more. Keep this health guide in mind and remember to include these healthy fat sources in your diet. Eat wise and eat healthy.